I used to quite like the modern Doctor Who. I caught on rather late. Matt Smith was already doctoring it up when I began with Christopher Eccleston. Things went swimmingly until matters became rather dodgy late in series 6, and series 7 was, mostly, rubbish. I had high hopes for Peter Capaldi’s Doctor. Alas, they were dashed upon the rocky shore named Clara. Series 8 was a total bust and I honestly can’t remember a single episode from series 9. 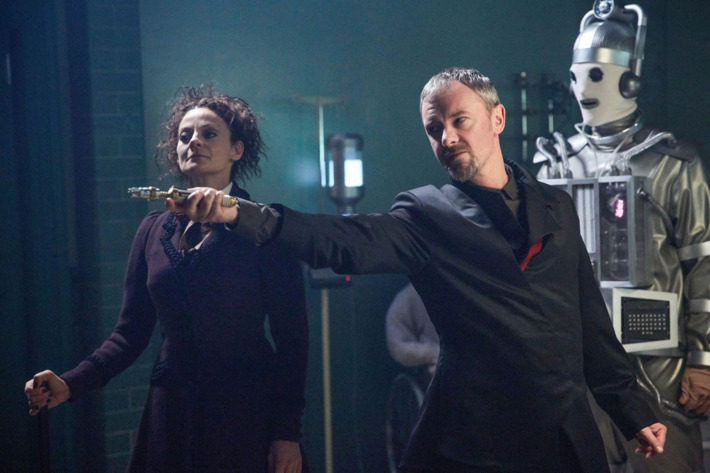 Capaldi played the Doctor as an irritating grump and about Clara the less said the better. Why do I keep watching? Curiosity, for one, and for two, my marvelous wife, for whom Doctor Who is televised comfort food. We went into series 10 with a glimmer of hope. After all, Clara was gone. Eaten by Oods, I think? Whatever happened to her, she deserved worse. The Doctor would be accompanied by not one but two new companions, Bill Potts (Pearl Mackie) and Nardole (Matt Lucas) (and yes, we’ve already met Nardole, but now he’d be a bonus companion). And showrunner Steven Moffat had announced this would be his last series. Surely he’d want to go out on a high note? Series 10 begins with little to commend it outside the absence of Clara and the addition of Bill and Nardole. The first episode is a bit of a rushed mess. 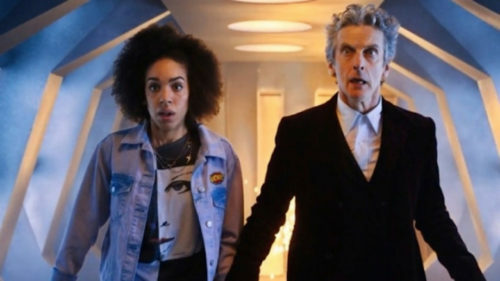 I assumed my having forgotten how series 9 ended was to blame, but the interwebs told me no, this series just throws us into a new reality in which the Doctor is a university prof with a monster in a box he’s sworn to protect, with Nardole playing a half-assed guardian unable to actually prevent the Doctor from jaunting off-planet. A muddle. But a fast-paced one, anyway. The second episode is a dire slog. Something about happy face robots and I don’t know what else. I watched counting the seconds until it ended and worried we were in for another series 8/9. The next three episodes offer little hope of improvement. They feel rehashed, like the writers had taken old episodes of the show and lightly rewritten them to remove any sense of wonder or discovery. 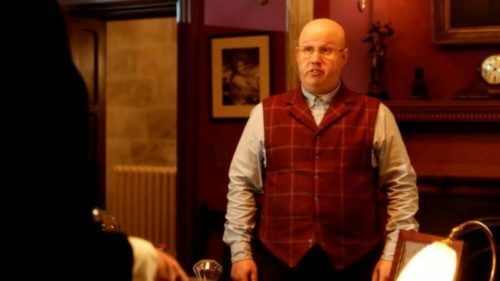 At least Bill and Nardole continue to deepen as characters. And then, sleep was induced. It’s with episode 6 that Moffat springs a story worthy of the old(ish) days on us. It’s nutty, weird, impressively confusing until almost the very end, and contains a brilliantly funny gag, that being the bit with the Pope and Bill’s date at the top of the episode. Where’s this Steven Moffat been for so long? Better still, this story’s a three-fer, sort of. Monk-aliens taking over the Earth, your basic Who plot, but told with a panache absent for years. This is the Doctor Who I’ve been missing. They might not make a short list of favorite episodes, but they don’t need to. Most don’t. All we ask is to be entertained with style, imagination, and a wee bit of thought. The next two episodes are fairly standard, but with the good will amassed from the previous three, they don’t annoy as much as they would have earlier. Too many speeches in the Roman army one, come to think of it. And why Romans? Shouldn’t Rory have turned up if they had to mine that vein again? The final two-fer is another winner. Again, nothing fantastically new or bold, just solid Doctoring. Nice concept with the 400 mile long spaceship drifting so close to a black hole that opposite ends of the ship experience two drastically different timeframes. The Doctor rides down an elevator and Bill ages ten years. She’s driven rather less mad by her ten years of imprisonment than one might expect in the real world, but so it goes. And while I could have lived without any Cybermen for a whole series, they’re handled here less irritably than usual. Seeing double. Also, analog cyberman. The business with Missy and the Master is appropriately twisted, and so too Bill’s transformation. For a brief moment I thought Moffat might have gone darker than ever before by turning Bill into the first Cyberman, spawning all others that have plagued the Doctor—and then I remembered what show I was watching. Still, for a one season arc, Bill’s is a strange one. Given that that watery alien from the first episode plays such a major part in her eventual fate, I wished they had made more of her initial appearance. Instead we’re left saying, oh, her again? How did that episode end? She’s doing what with Bill now? Ah, they’re both weird and watery and jaunting away to explore the universe. So it’s a happy ending that, should you bother to really think about it, is in fact rather dark. Sorry you hooked up with that Doctor fellow, Bill, welcome to non-corporeal infinite existence. 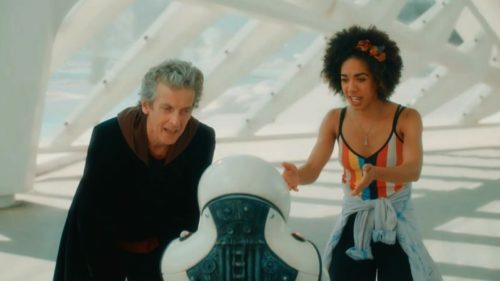 Finally we end up on a snowy planet where Capaldi’s Doctor meets the first Doctor, played by someone who certainly wasn’t playing him in the ‘60s. I guess Doctor actors have the power to regenerate too. Who knew? I hope the xmas special has plenty of Doctors dying. A good series, then, this one. Not great. Too many duds at the outset. It’s like Moffat has returned to when he wasn’t the showrunner, and could put all of his energy into a handful of clever episodes. In terms of massive, overarching, complicated plotlines, he gave us his best his first two times out. After that, while he sure didn’t run out of imagination, things just went all pear-shaped, didn’t they? We’re overdue for the new showrunner (Chris Chibnall) and the new Doctor (Jodie Whittaker)—for the first time, a woman. I expect series 11 to be fantastically creative and different. And if it’s not? Well, hell. I’m going to watch it anyway. Sigh.